I did not have a difficult time selecting my May 2013 Read of the Month title. Detroit News Columnist and 97.1 The Ticket radio host Terry Foster announced a promotional tour for his new book 100 Things Tigers Fans Should Know and Do Before They Die earlier this spring. When I heard he would be making his way Downriver to the wonderful Barnes and Nobel in Allen Park (on The Hill) for a book signing I knew I wanted to make a visit to pick up Foster's new book. I wanted to pick up the book for a number of reasons. First, like many in the area I am a Detroit Tiger's fan. I am also a fan of history, especially local history, and this book is filled with Detroit history. I am also a huge Terry Foster fan. He is a great writer and radio host, but more importantly he is a great man and representative of the community. He is extremely friendly and approachable. He interacts with fans and students throughout the state. Don't believe me, follow him on Twitter, it will not be long and he will be interacting with you and your tweets. He often looks for recommendations for local bars and restaurants to visit. Through some tweets, a few friends and I were able to persuade him to visit Joe's Prime Time Pub all the way down this way in Gibraltar. My daughter Chloe, who loves to read and write, decided to join me when I went to Barnes and Noble to purchase two signed copies of 100 Things Tiger Fans Should Know and Do Before They Die (one for me and one for the Carlson Library). I am so glad she came along. She loves the book store and is always excited about interacting with authors. 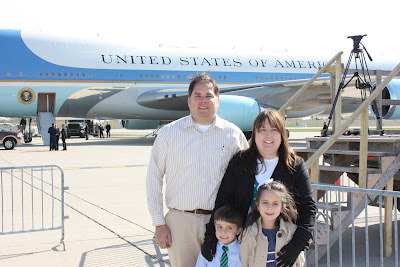 She still talks about meeting an author at Hawaiian Island in Trenton. As soon as we approached Mr. Foster he was friendly and cordial. He started off by talking to Chloe and asking her what she likes to read and about her rain boots. He also spoke highly of his own children (which he does often on the radio) while speaking with Chloe. We talked and I thanked him for making the trip down to Joe's and for his friendly interaction with the people from the Metro Detroit Area. After talking for a few minutes he signed my copy and one for the students of Carlson High School. 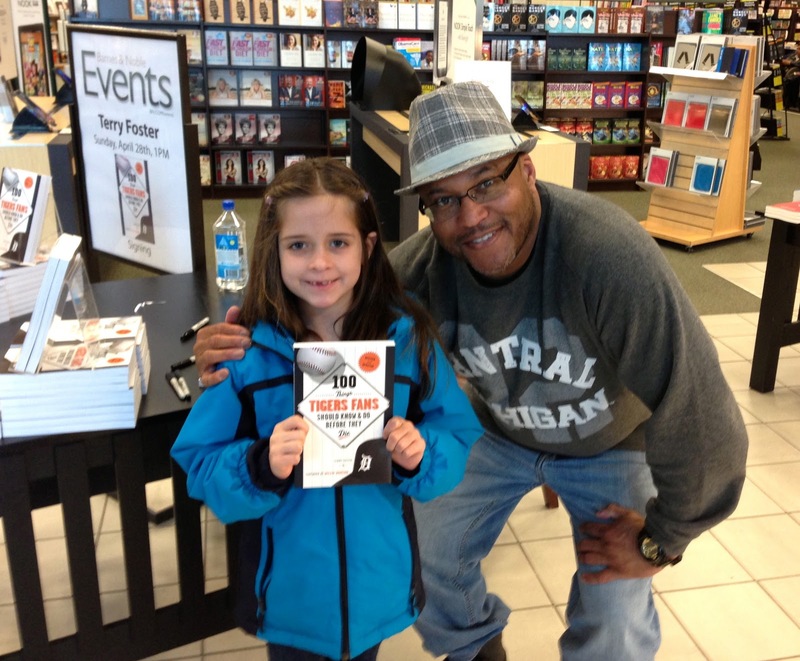 Chloe with Terry Foster and his new Book. Now, onto the book, I have just started and I am really enjoying Foster's work. It would be a great Father's Day Gift for any "Dads" out there in your lives. It is really a great book for any Detroit Tiger fan as well. I am pretty sure you can still order a signed copy directly from Terry Foster. The book is a quick read so far, because it is broken up into 100 mini stories about people, places and events related to The Detroit Tigers. If you are a Tiger (or Detroit) fan give it a read! I always think supporting local authors is a great choice!